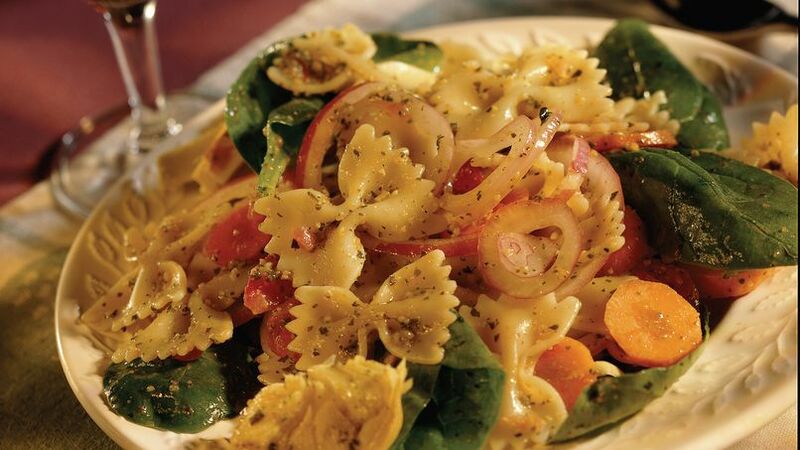 While pasta is cooking, place tomato, pesto, salt and pepper in food processor or blender. Cover; process 30 seconds. Toss pasta, pesto mixture and remaining ingredients. Use the packaged already-cleaned spinach found in the salad section of the produce department. No bow-tie pasta in the pantry? Other medium-size pasta shapes, such as shells, rotini or fusilli, work too.